In this recipe, tender pieces of king trumpet mushroom and bean curd are cooked slowly in a tangy, sweet-savory sauce and served with mango. Cook the ingredients listed under the stew sauce section until the contents of the pot have come to a boil. Add the bean curd sheets first then and stew for 20 minutes over medium-low heat. Then allow the bean curd sheets to soak in the sauce for an additional 15 minutes. 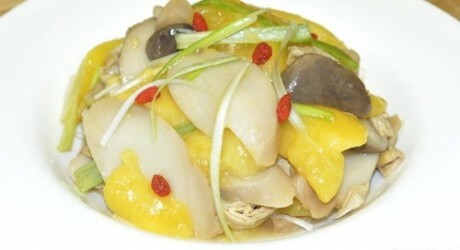 At this point, you are ready to use the bean curd and mushroom to create the mango vegetable dish. Slice 2 to 3 mushroom stalks and cut two pieces of bean curd sheets into large strips. Place both of these items in a large bowl, add the ingredients listed under the seasoning section and mix gently. Finally, mix in the mango slices and garnish with gogi seeds. Serve immediately or store in the refrigerator and serve later. The components of this recipe can be used to create many other kinds of dishes. For example, stewed bean curd sheets and mushroom can be served separately. 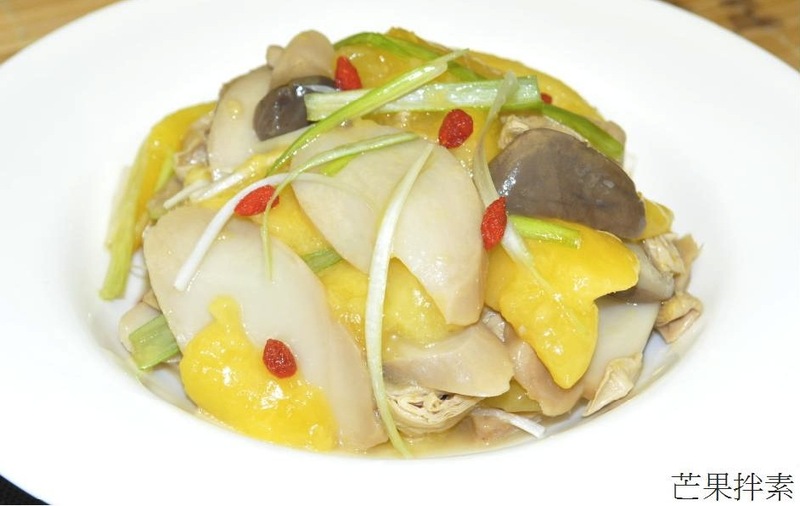 Stewed mushroom has been compared in flavor to vegetarian abalone. If you have leftover cooked ingredients, these can be stored in the refrigerator for later use. 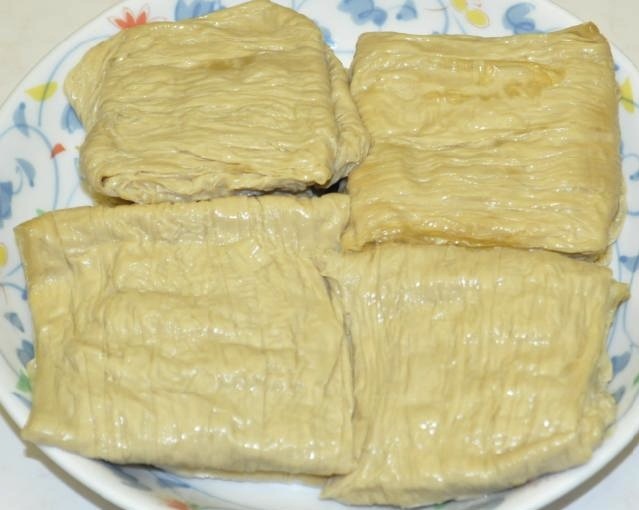 What do bean curd sheets look like, and where can I buy them?